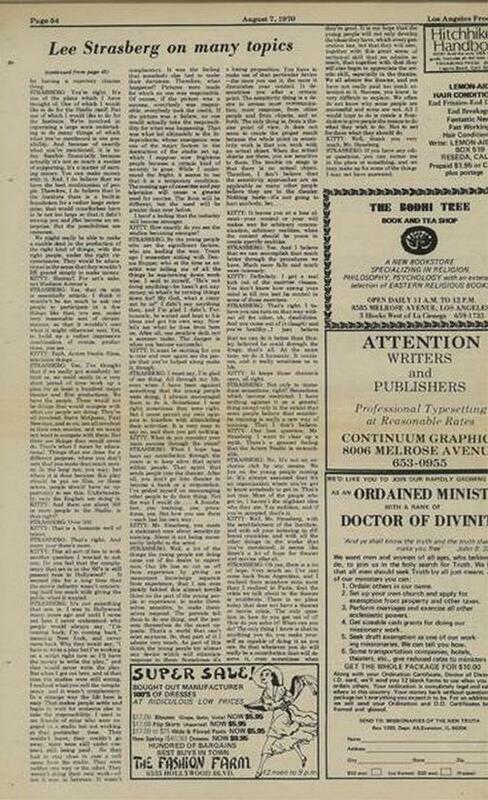 Original full page newspaper review with Lee Strasberg from 1970. 11.5 x 17.25 inches. Original, not a photocopy or reproduction.